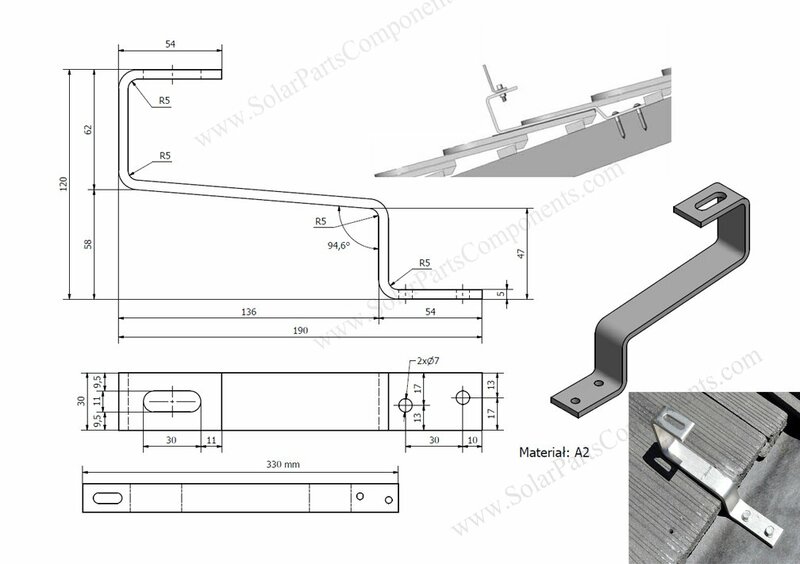 Non-Adjustable solar roof hooks for flat tiles . 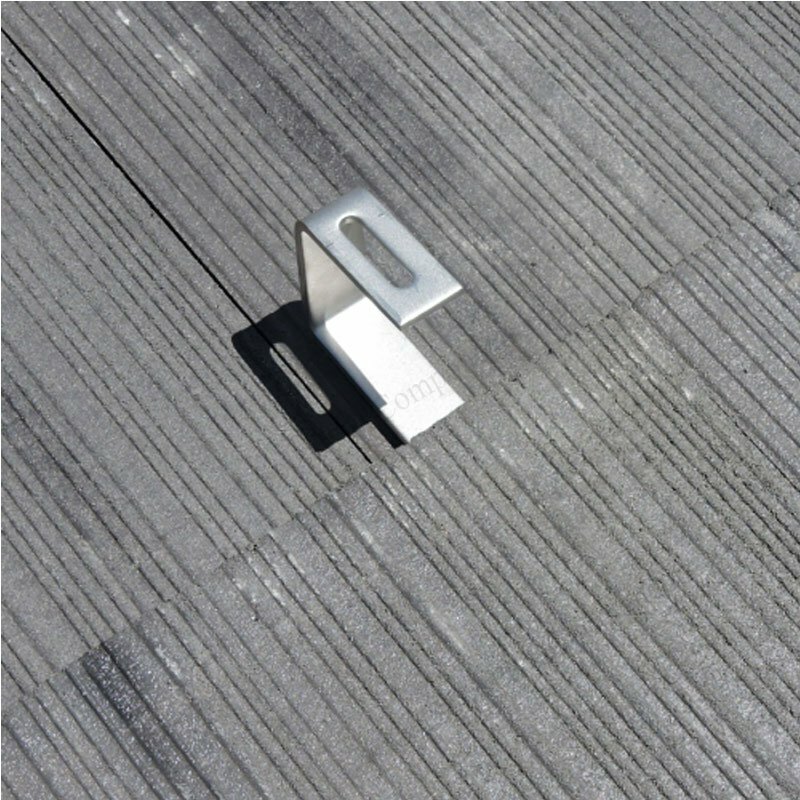 180° Flat Tile Roof Hook is fixed height of 85 mm . We connect wood beams by hexagon Spring Washer screws during hook base holes. 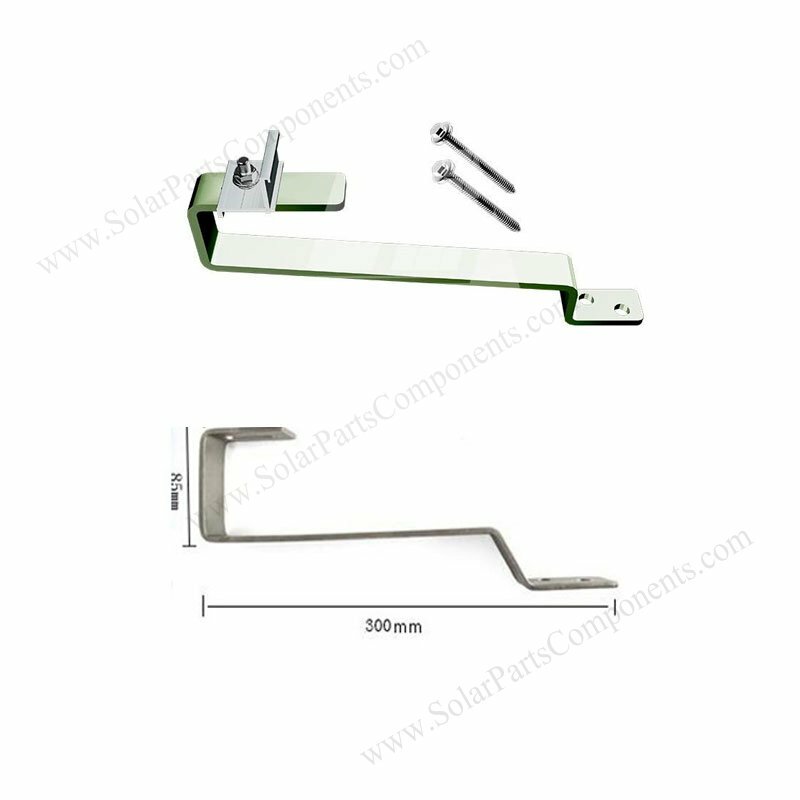 The diameter of mounting screw holes is 9 mm . Our stainless 304 flat tile hooks are excellent corrosion resistance and value , which contains 18 percent chromium and 8 percent nickel. 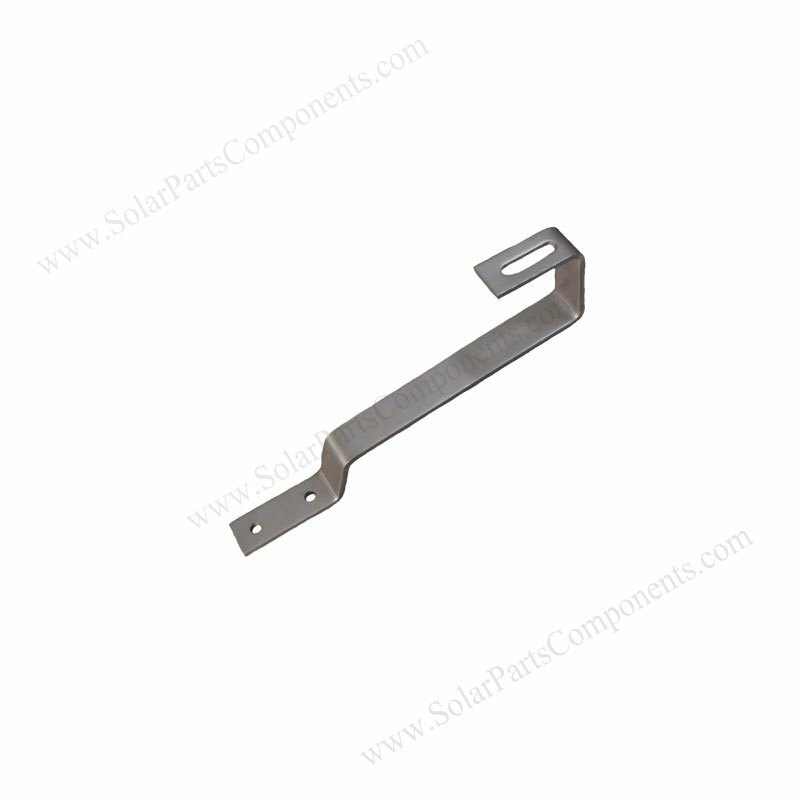 The solar flat roof hooks are strictly complied with industry size standards and waterproof well. 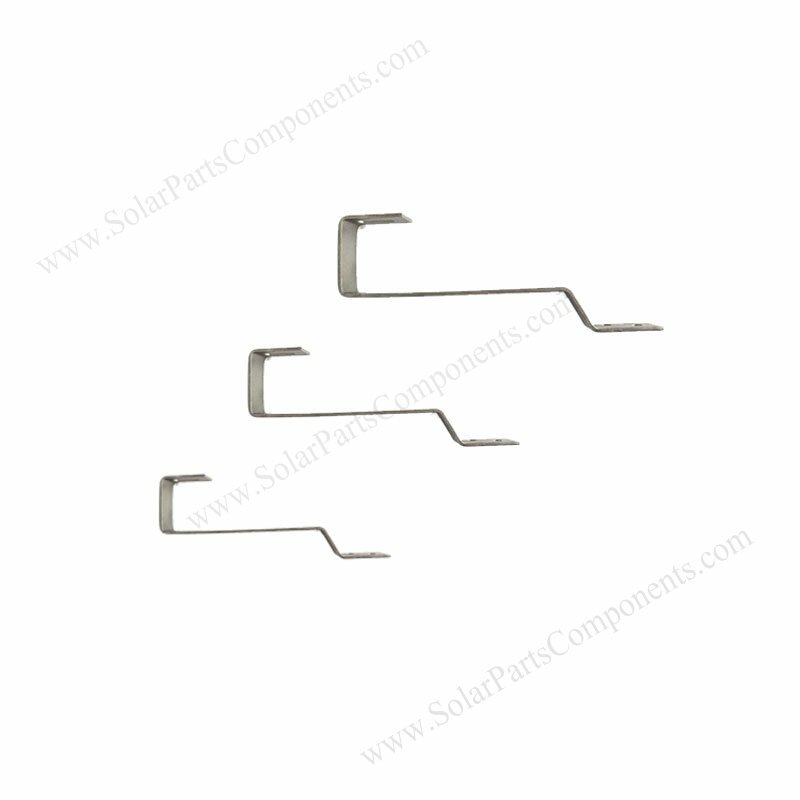 Before determine right tile hooks for your project, our samples can be quickly expressed as requirements, since we have stock and warehouse for regular models. 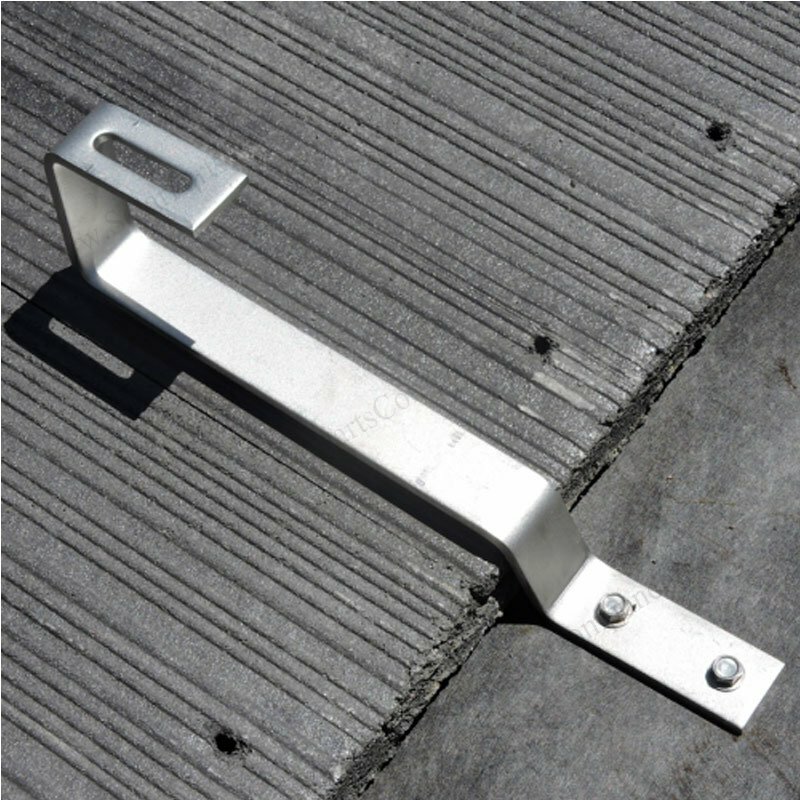 This solar tile roofing hook which has slot at upper side, works with 99% aluminum racks by using 5/16 Inch or 3/8 Inch bolts. 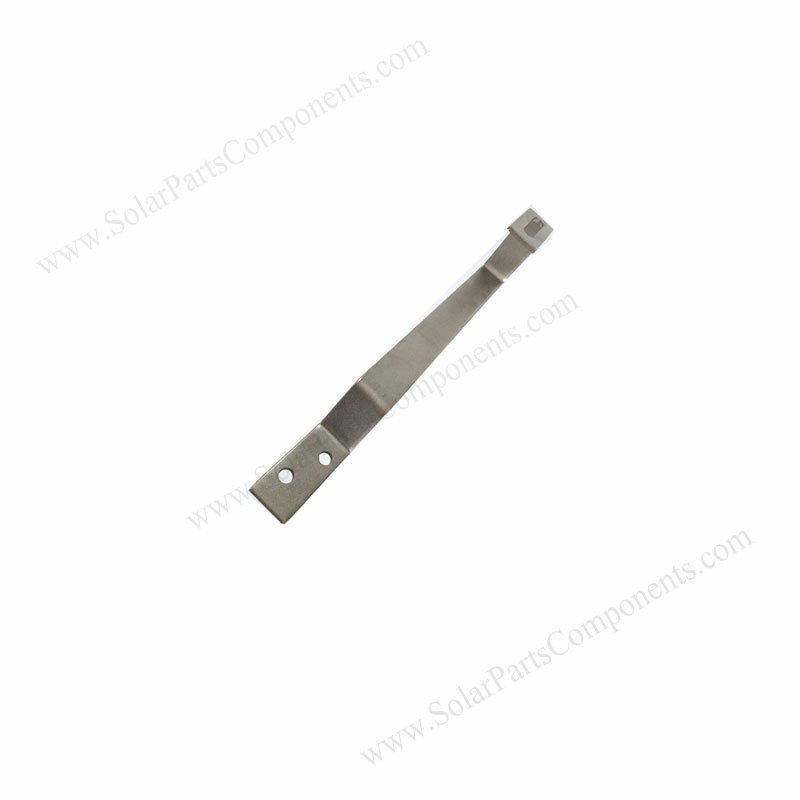 As a PV mounting hardware factory, SPC can offer customized service for our all solar hooks , clamps , clips .